Tested: how does the Mini Countryman Cooper SD stack up? I’ve seen quite a few Mini Coutrymans (Countrymen?) pootling about in London over the last few weeks, now that deliveries from the Austrian factory have begun in earnest. 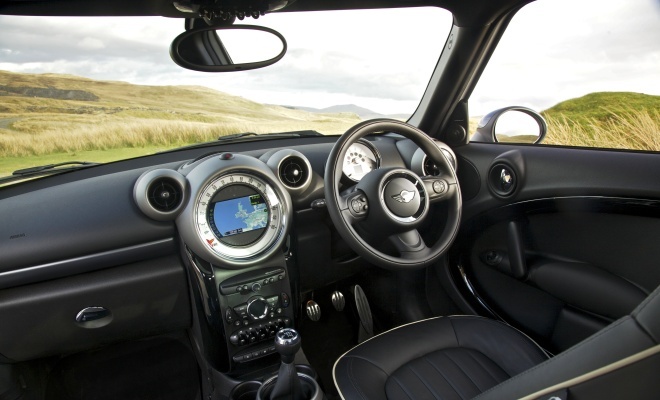 The cars will become a common sight, as the Countryman has quickly become Mini’s second-best selling model in the UK. In the first three months of 2011, according to the company’s own figures, almost a quarter of cars sold were the big five-door hatches. Just over a half of all Minis sold in the first quarter were the small three-door hatch, the Convertible accounted for 15%, while the oddball three-and-a-half-door Clubman brought up the rear with 7% - or fewer than 850 examples sold. When the Countryman was launched in the UK I drove both the Cooper S and Cooper D versions of the car, both with All4 four-wheel-drive. I preferred the Cooper D, given the leanings of this blog. As with any other car, the addition of a big dollop of extra power made the Cooper S a more thrilling prospect – but I know that enchantment would diminish with every visit to a fuel pump. 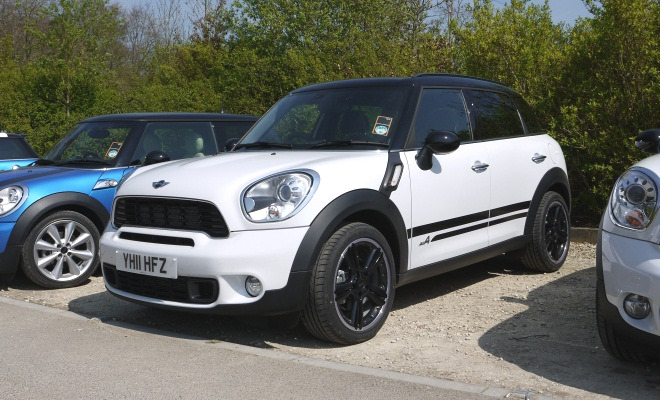 Now there is a new Countryman option that seeks to combine the economy of the D with the urge of the S – the Cooper SD. It doesn’t quite manage either trick, but it gets surprisingly close on both counts, courtesy of a new 2-litre turbodiesel engine borrowed from parent company BMW. According to official figures, the Cooper SD gives the slower Cooper D a run for its money in economy – a two-wheel-drive, manual SD scores 61.4mpg on the combined cycle compared with 64.2mpg for the Cooper D, convincingly better than the 46.3mpg of the petrol Cooper S. In real money, it would cost about £1,050 to fuel the SD over 10,000 miles at today’s pump prices, just £45 less in the Cooper D, and £270 more in the Cooper S. Enough to make a difference, particularly on top of big disparities in insurance costs. Surprisingly, in four-wheel-drive All4 guise, the 1.6-litre Cooper D and 2-litre Cooper SD turn in identical combined cycle scores at 57.6mpg, suggesting that the smaller engine is actually out of its comfort zone lugging the extra load. Comparisons for outright speed favour the petrol car, of course, with the Cooper S, SD and D turning in 0-62mph times of 7.6 seconds, 9.3 seconds and 10.9 seconds respectively. It’s all down to power delivery, because the diesel engines aren’t old iron lumps. The three cars all have kerb weights within 10kg (or less than one percent) of each other. From the driving seat, the different levels of pace are quite marked – the S feels quick, the SD brisk and the Cooper D merely adequate. 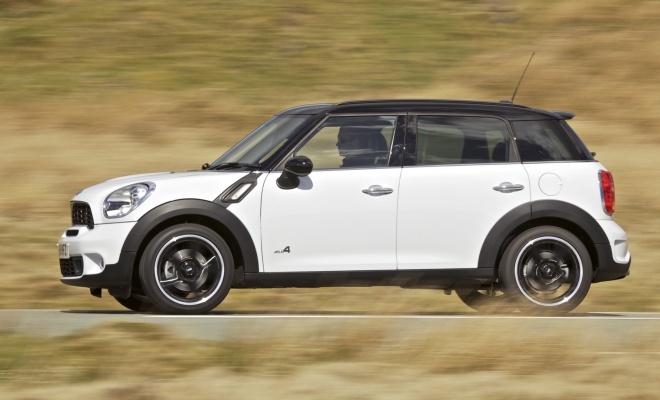 Acceleration aside, all Countryman variants offer a very similar experience. Steering, brakes and throttle response all feel instant and tactile. Only the gearbox lets the side down, failing to provide the precise sensation of oiled steel and instead reminding me of twisting a Rubik’s cube – a little bit notchy and plasticky, in other words. The ride is firm and can get crashy, particularly if you put fashion ahead of comfort and opt for the larger wheel sizes. On run-flat tyres as standard, the suspension can feel as if it’s been poured into the chassis from a concrete mixer. Inside, the centre rail system for securing cupholders and other oddments also works against refinement, providing a consistent source of rattles in an otherwise exemplary interior. The minor controls can be fiddly and often hide in odd places, but once found they feel built to last from premium materials. I’ve praised Mini’s trademark upright screen and slim pillars in the past, for undoubted virtues in visibility, but there is a corollary. Where flying insects might be gently wafted over a more laid-back and slippery car, in the Countryman they tend to go splat right in front of your eyes. At one point in my test drive, gamboling along a country lane arched over with greenery, it sounded like I’d come under machine-gun fire. A couple of hours later, on the same road but in a wedge-shaped Honda, not a pop. Maybe the Countryman had simply swept the air clean of unsuspecting bugs. 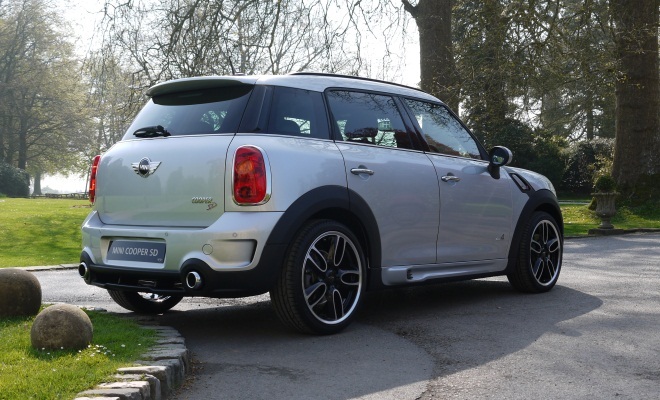 All of the Countryman variants I’ve driven are good cars – but there is a but. As an urbanite I would naturally be drawn to an automatic gearbox, but I can’t really recommend buying an auto Mini. While I haven’t actually driven a Mini without a stick, I have perused the figures. Taking the combined cycle figure, the manual Cooper SD Countryman will go 11 miles further on a gallon of fuel than the automatic. Put another way, the auto box burns an extra litre of diesel every 70 miles or so. Over 10,000 miles, you’d pay £250 more to fuel the auto, on top of the £1,200 premium to buy it in the first place. And of course it saps speed too. Come on Mini, sort yourself out. 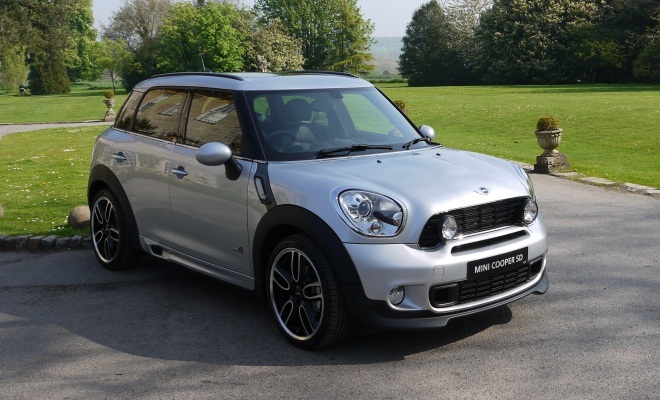 The Countryman boasts a great choice of modern, economical engines - now let’s have a state-of-the-art, twin-clutch auto on the menu too.